How Long Do You Bake Veal Cutlets? Can You Use Sweet Almond Oil for Stretch Marks? When it comes to stretch marks, they have more to do with genes than moisturizing and prevention. Some women are simply prone to getting stretch marks; if your mother got them, there's a good chance you will as well, notes Medical News Today. Your skin's elasticity is the biggest factor in preventing them. Using sweet almond oil is beneficial for strengthening and moisturizing your skin so that if you do get stretch marks, they are less severe than they would be without an emollient oil to help fortify your skin. Pour a tablespoon of sweet almond oil into a glass dish. 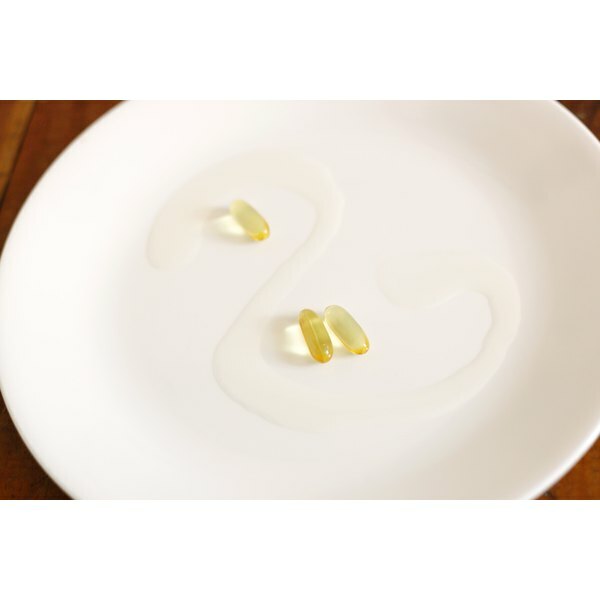 Puncture three vitamin E tablets and squeeze them into the glass bowl to empty them, suggests BeautyAssist.com. Add a few drops of your favorite essential oil to scent the mixture; lavender is ideal for relaxation, mint is good for energizing and grapefruit promotes happiness, notes AromaWeb.com. Mix the oils together. Place the glass dish in the microwave and warm for no more than 30 seconds. Test the oil with the tips of your fingers before you place it on your belly to make sure that it is warm but not hot. Dip your fingers into the oils and begin rubbing them onto your belly, concentrating on areas that are more susceptible to stretch marks, like the lower belly, thighs and breasts. Use small, circular motions and rub until the oil is completely absorbed by the skin. Apply as much as you want; almond oil is highly emollient and absorbs easily into the skin. Rub the oil mixture onto your belly every day as a way to strengthen skin so that your stretch marks are less severe. If you do develop stretch marks, continue rubbing the oil mixture on them to help them to stay moisturized. Try applying the sweet almond oil mixture to your body immediately following a bath or shower, when your pores are open. Your skin will absorb the oil more readily, helping to keep your skin hydrated to ward off stretch marks.